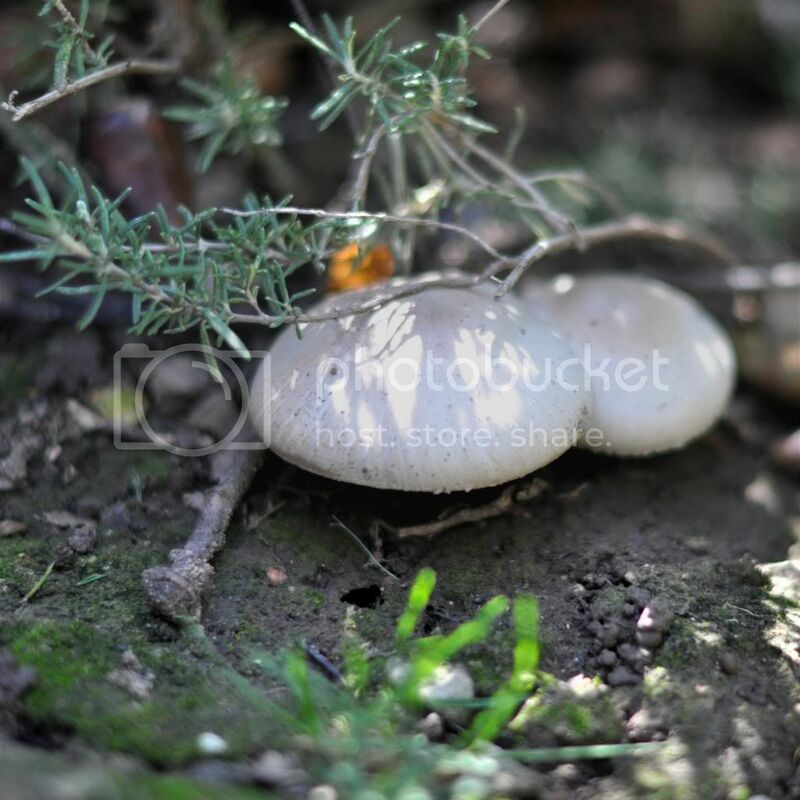 A new series post all about mushrooms! Found this little guy on the edge of a lawn and underneath a rosemary bush. 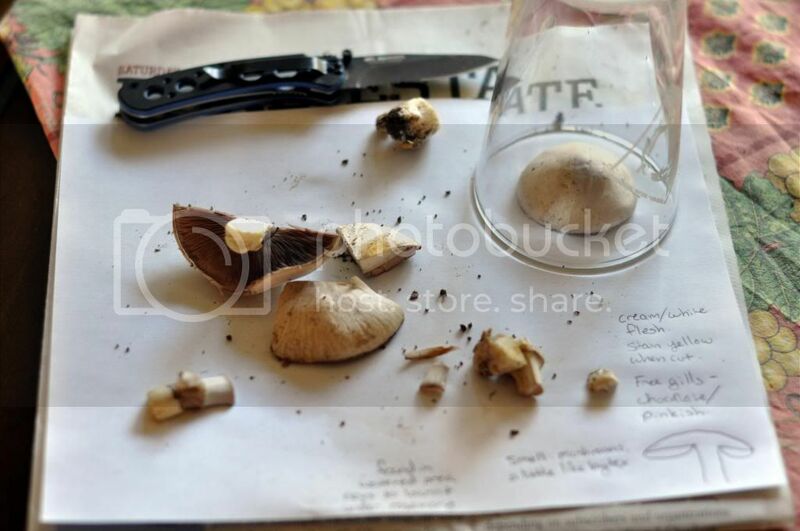 Making a spore print underneath the glass! 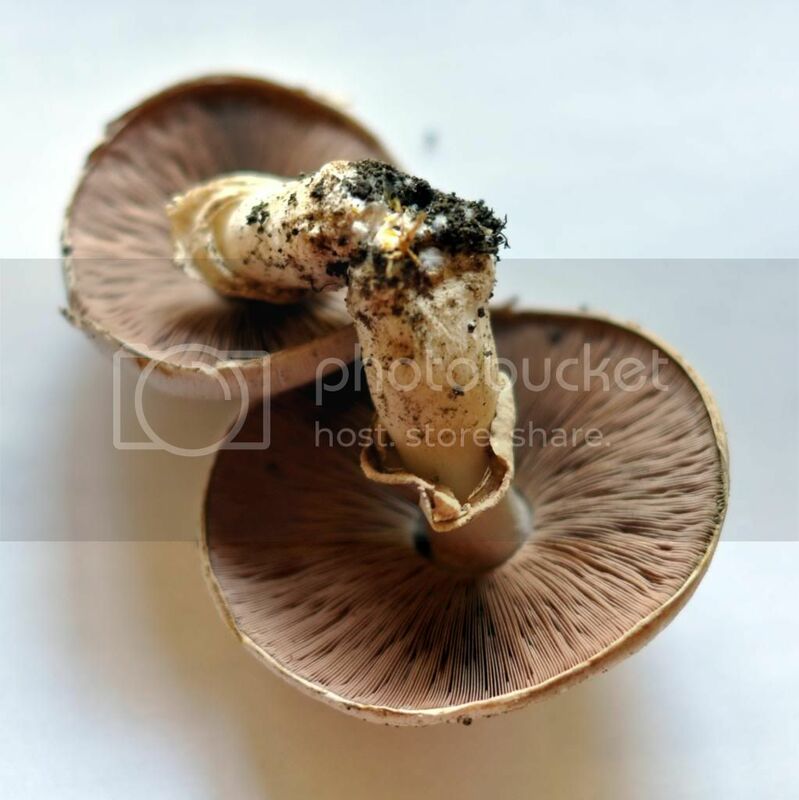 Lovely chocolate brown spores. 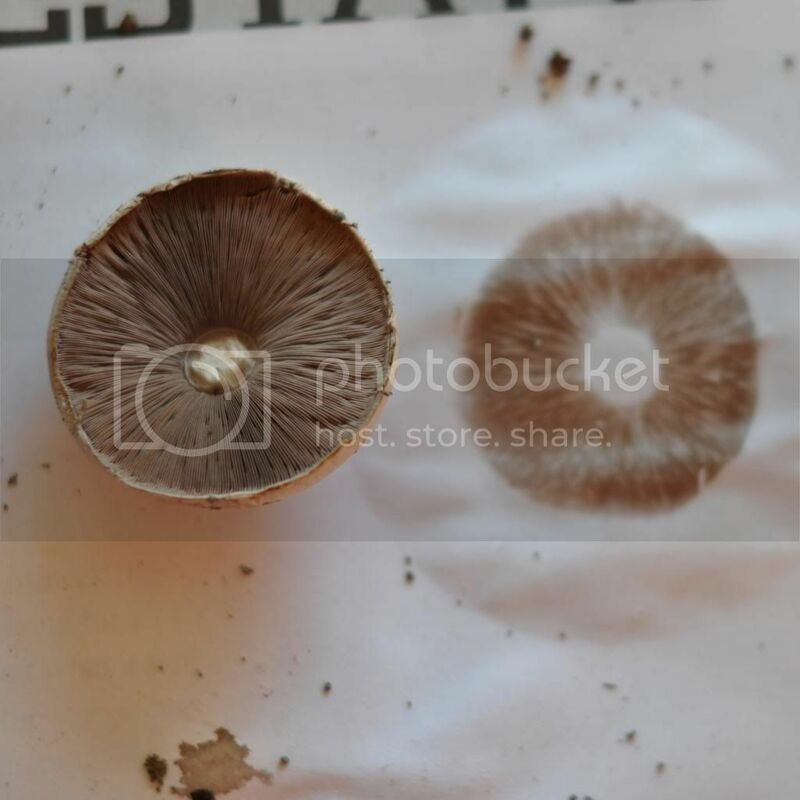 You don't have to put a glass over a cap to make a spore print, but it does help with creating detail. 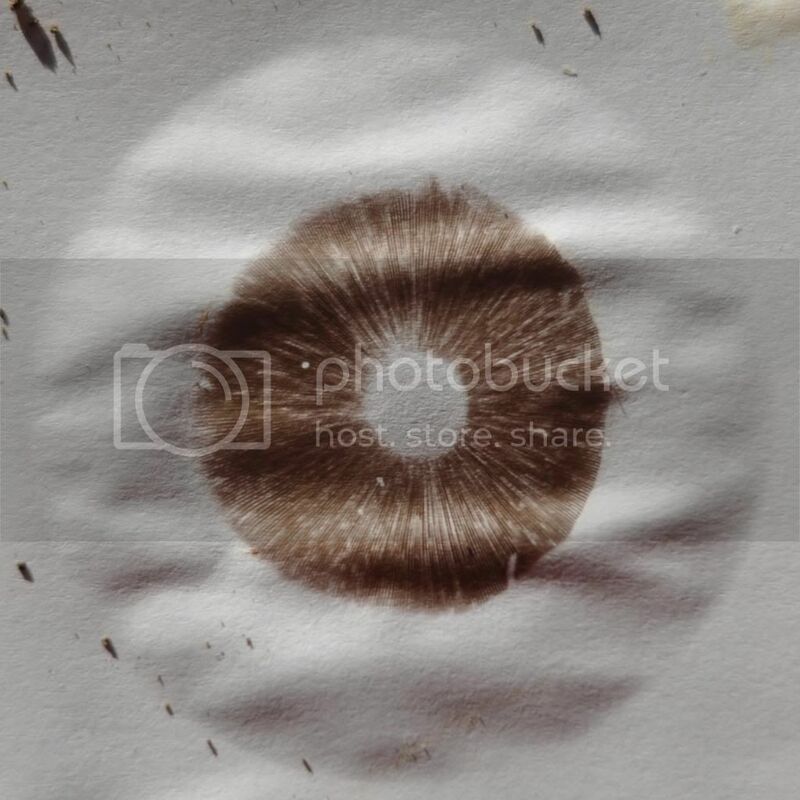 You can see each line of the mushrooms gills in this print. 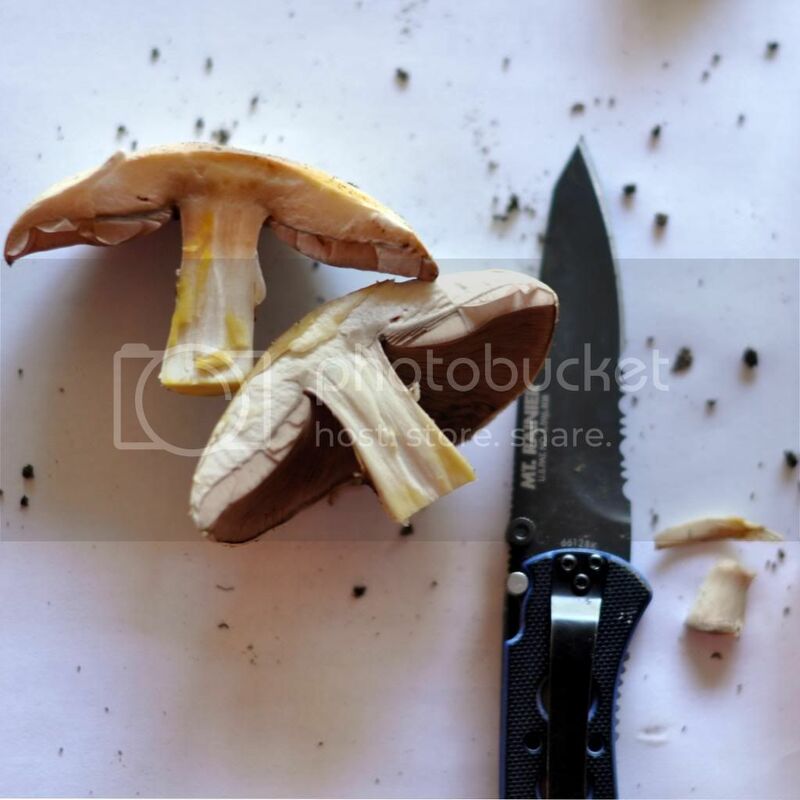 After consulting my identification book (I use Mushrooms Demystified by David Arora), I found this mushroom to be a yellow staining agaricus, or agaricus xanthodermus. Very common on lawns, sides of roads, meadows, pretty much all over the place.